Typically, when we feel the “threads of life” unraveling due to these extra demands, we have the temptation to ditch our health and fitness plan, especially if it’s new and not a life habit yet. Why? Because our minds (and bodies) desire to protect us from stress and want to revert to anything comfortable and familiar. And if our health plan is not yet a habit, it’s still a bit uncomfortable to implement consistently. Let’s be honest, even if it IS a habit, it’s still hard to implement in the midst of chaos (speaking from experience)! Any of this sounding familiar? If so, I have a quick lesson in SEWing to keep those threads from completely unraveling. During this busy period, focus ONLY on the health items below to help you stay on track in a manageable way, beat the odds of burn-out and weight gain, and feel your best until you can get back to the other elements of your health plan. Adequate sleep is non-negotiable. Sleep will affect everything from food cravings to stress levels to productivity. I know…you are so busy you can barely shower, let alone get to bed on time. Just trust me…prioritize and PROTECT your sleep and you will be amazed at how much more effective and efficient you are with “all the things”. And, a lot more cheerful too! Again, sleep is non-negotiable! Taking just a few minutes to nurture your spirit will also pay huge dividends. This will look different for everyone; meditate, pray, read, or practice any other behavior that provides a sense of peace and fulfillment. This can happen anytime; but to set your mindset for the day, it’s most effective in the morning. The worst scenario during stressful times is to find yourself hungry. When the stress hormone cortisol is running high and we are physically and mentally exhausted, our body (in its desire to protect us) will crave quick energy like processed carbs. This sets us up for a cycle of quick energy followed by a crash followed by cravings, etc. To counteract this biological response to stress, eat nutrient-dense REAL FOOD spaced evenly throughout the day to maintain blood sugar, energy levels, and keep cravings at bay. And keep food choices simple! A busy time of life is not when to try a new “meal-plan” requiring a list of ingredients, shopping trips, and recipes. Bottom line, choose a few favorite foods that you can pluck, pick, shoot, or catch (well, maybe not you, but someone) and minimize foods that come in a box, bag, can, or carton with a long ingredient list. Simple! You may not be able to carve out an hour at the gym, so aim to walk whenever/wherever possible – 10 minute increments is all you need as the aerobic benefits are cumulative. Think movement, more than exercise. When life settles down, you can get back to your full training plan. Let me state the obvious…water is essential to life! Our cells, organs, tissues all need water to carry out their functions. Water is a major component of blood and transports nutrients and oxygen throughout our bodies. Symptoms of dehydration include fatigue, headaches, dizziness, cramps, even cravings! Not ideal ever, but especially when dealing with added life demands. Make it a habit to have water with you at all times to keep your body running as efficiently as possible. Do one thing TODAY to improve either your sleep quantity or quality – turn in earlier, cut out caffeine in the afternoon, get rid of any light omitting device in your bedroom, etc. Pick 3 favorite real food items to always have on hand (and go buy them). Put walking shoes/socks and a reusable water bottle in your car so you are ready for a walk and water whenever/wherever. I could do a separate blog post on each of the SEW items above (and maybe soon I will) but the point of this post was to provide SIMPLICITY in times of chaos. 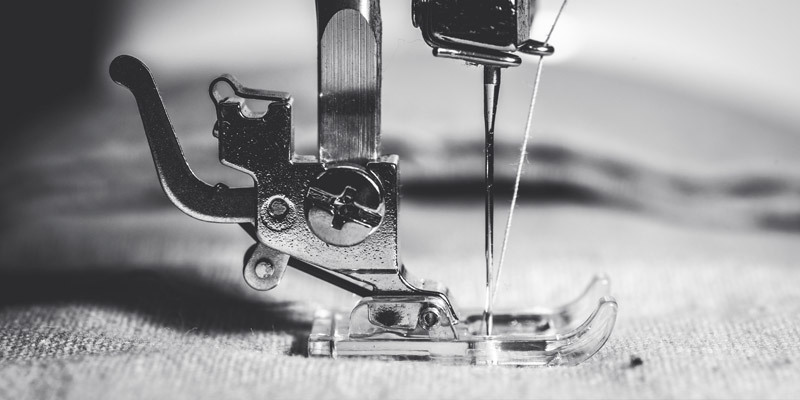 So, next time you feel like life is coming apart at the seams, you now know how to SEW in order to keep things together, prioritize your health, and ensure you feel strong mentally and physically to tackle whatever comes your way.